Everyone gets nervous before they begin their performance. Those who say they don't are lying. The degree of stage fright is different, but everyone experiences it. There are tips of the trade that many professionals use to work through it. Some are physical and others mental. Combined they can help you control the pressures stage fright can have on you. This text shares a few of those tips. 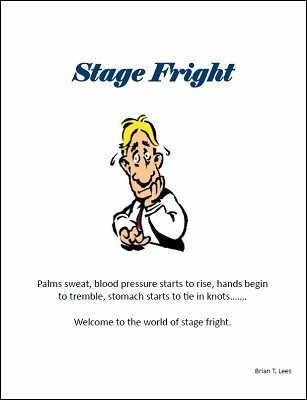 It provides a detailed description of the elements of stage fright, and ways you can calm yourself and focus on your magic.